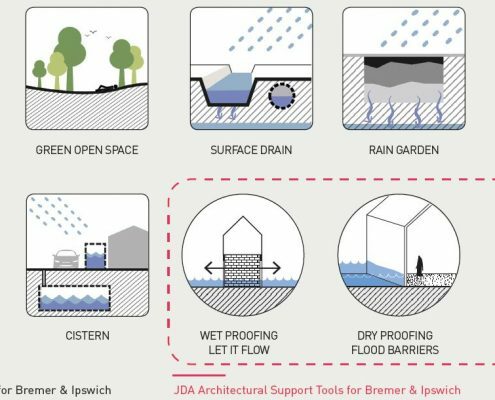 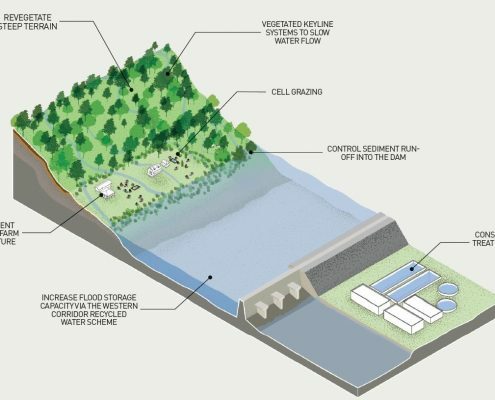 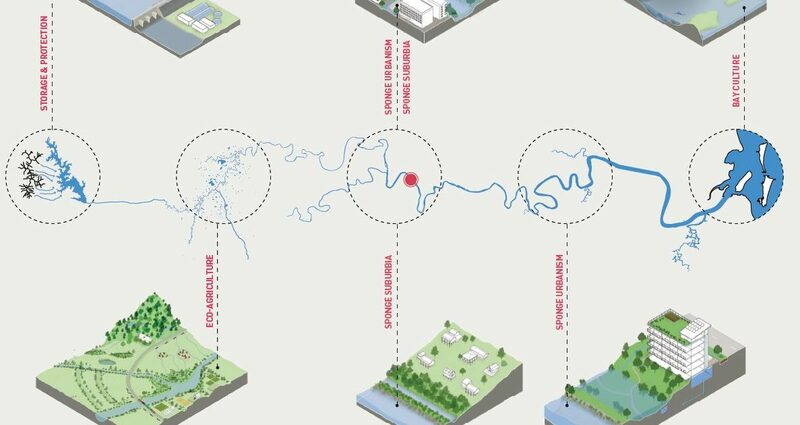 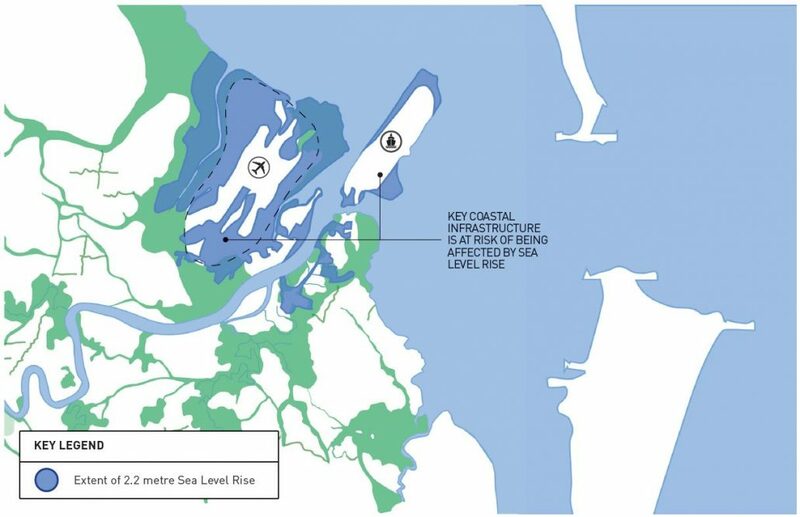 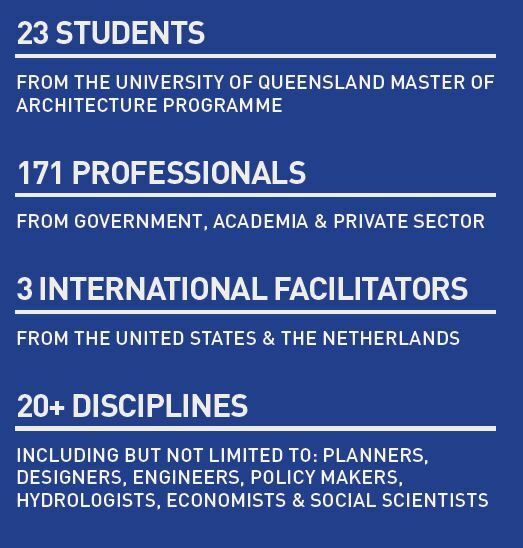 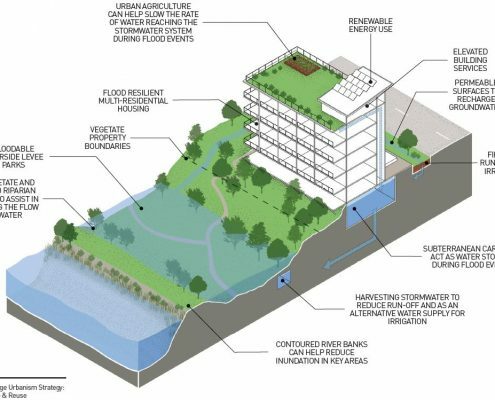 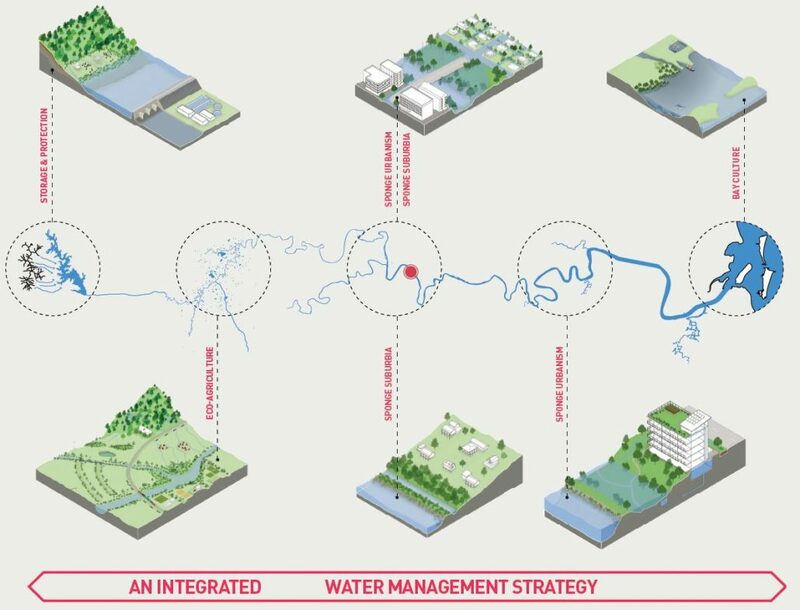 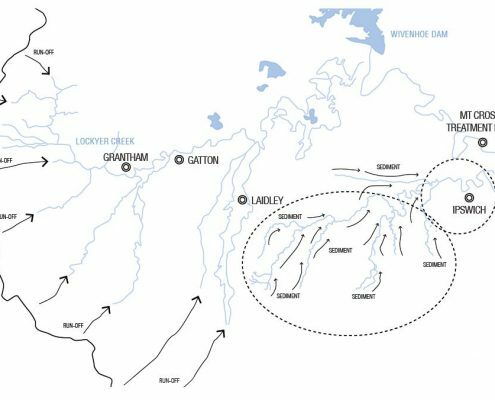 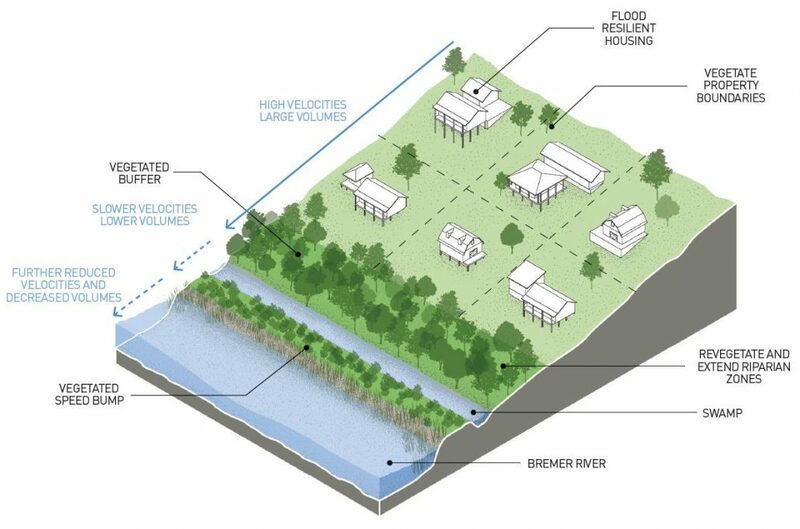 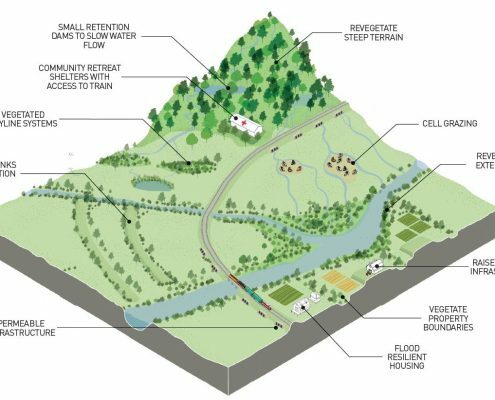 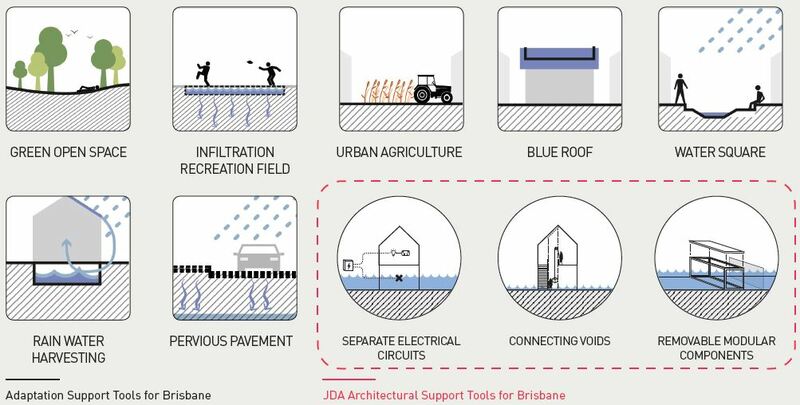 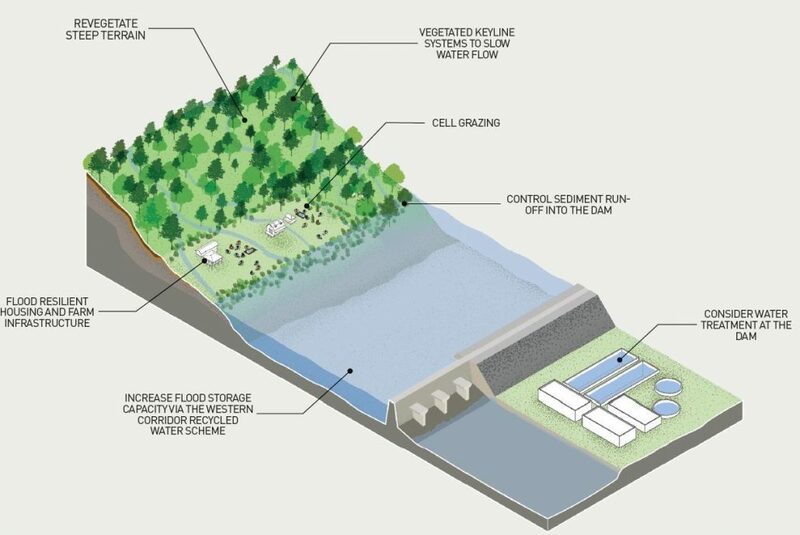 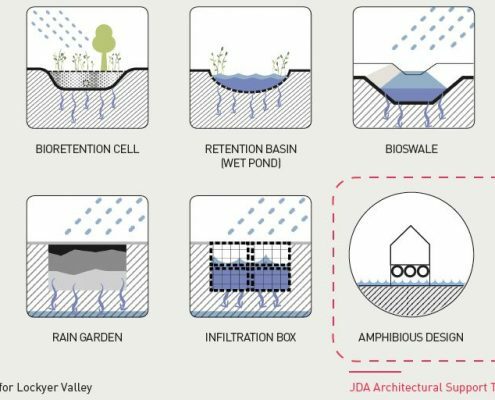 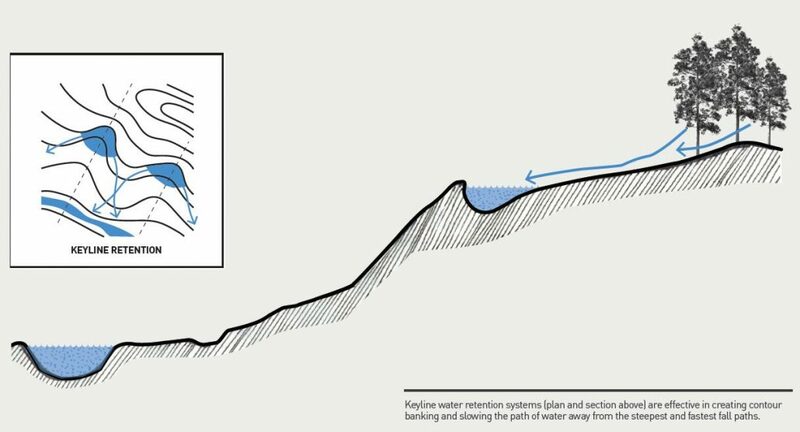 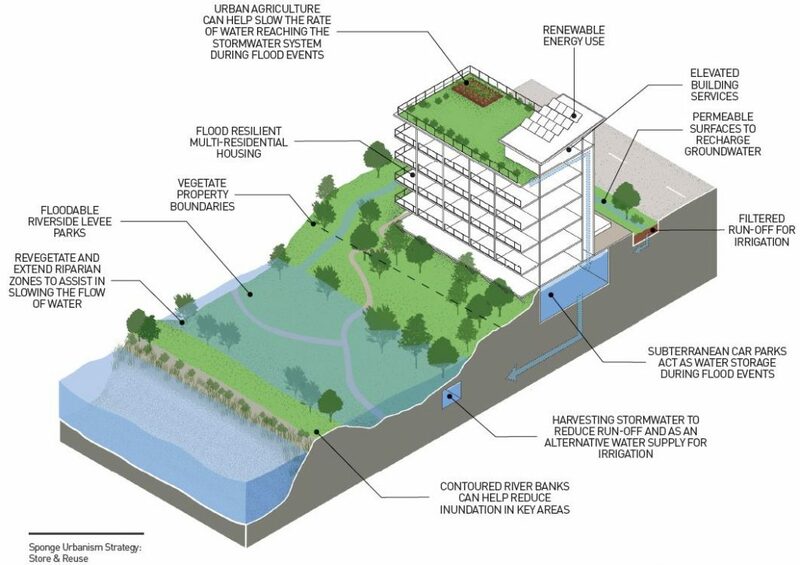 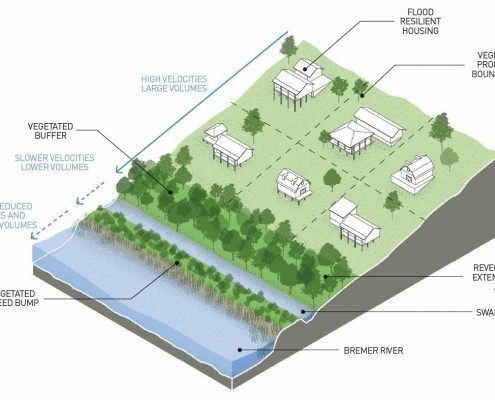 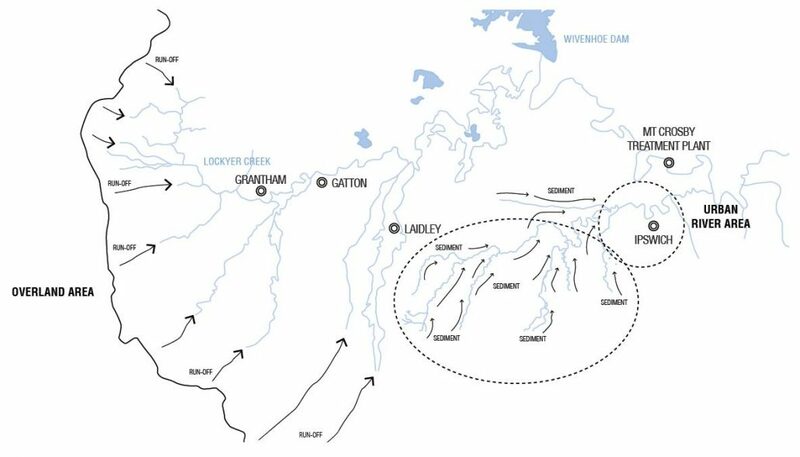 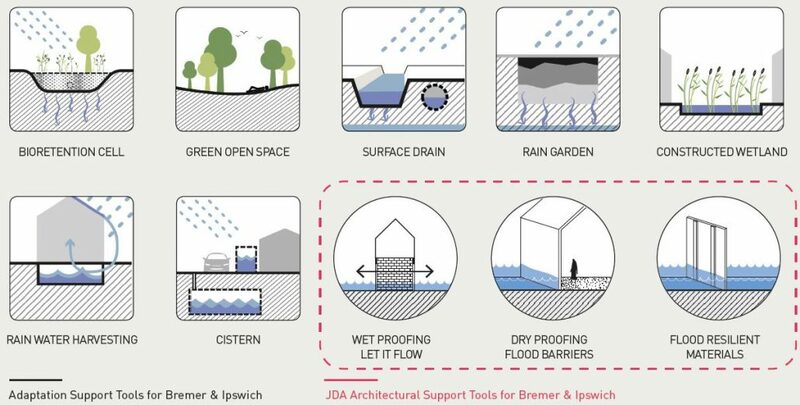 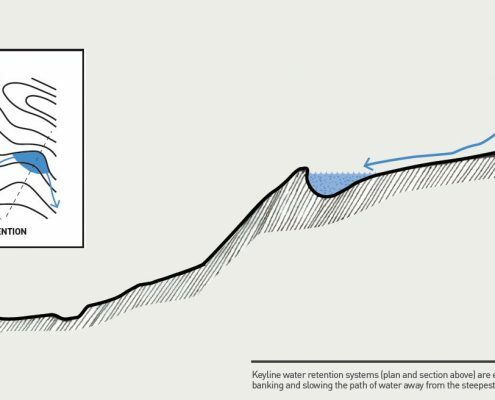 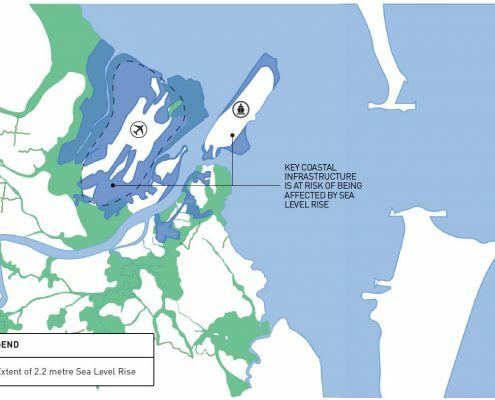 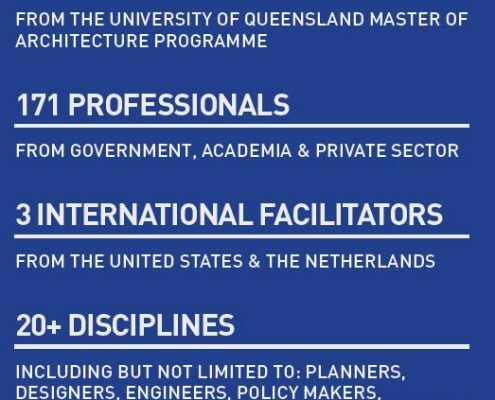 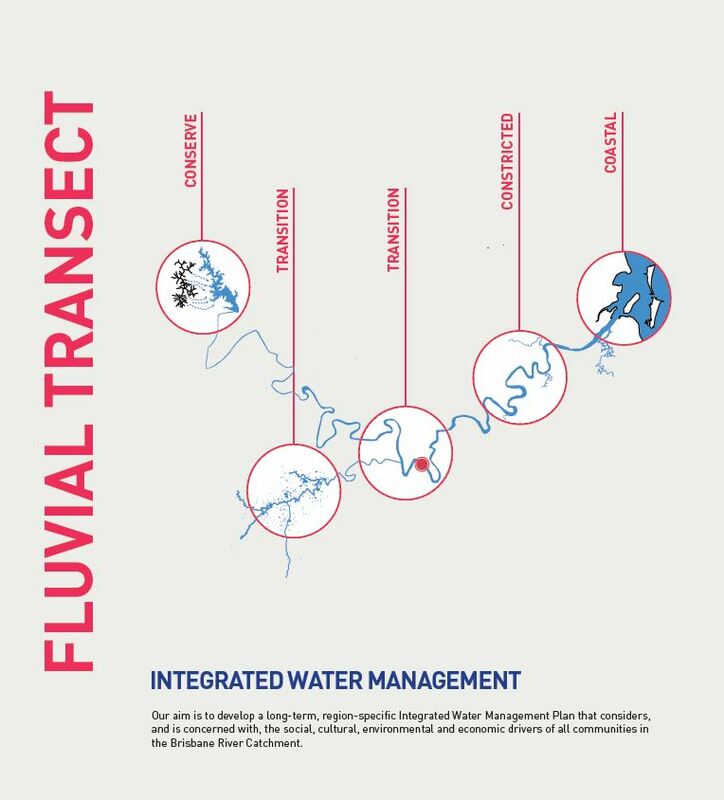 While on his Churchill Fellowship in 2012 James was exposed to the success of a collaborative design approach to solving the various complex issues associated with flooding. 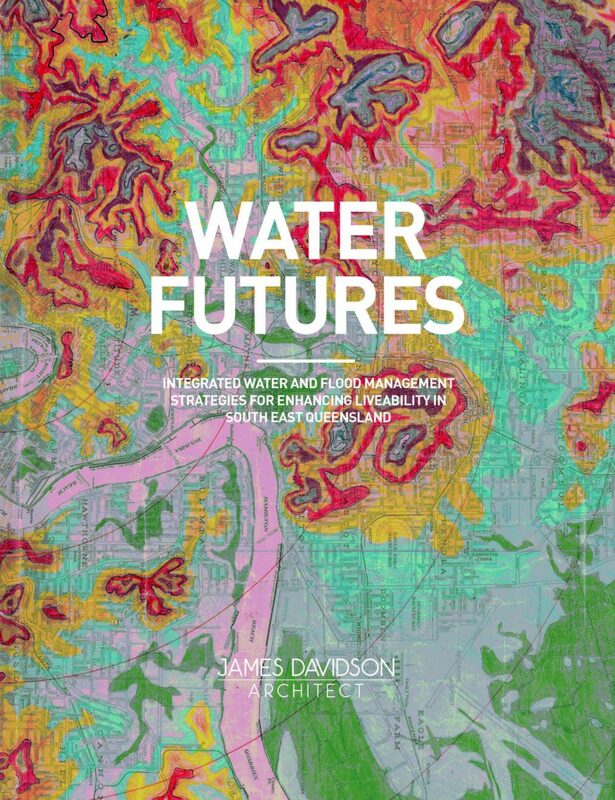 From the rich material, a design and authoring team of James, Sam, Britt Hill and Clive Ba-Pe brought together the myriad of content in the book. 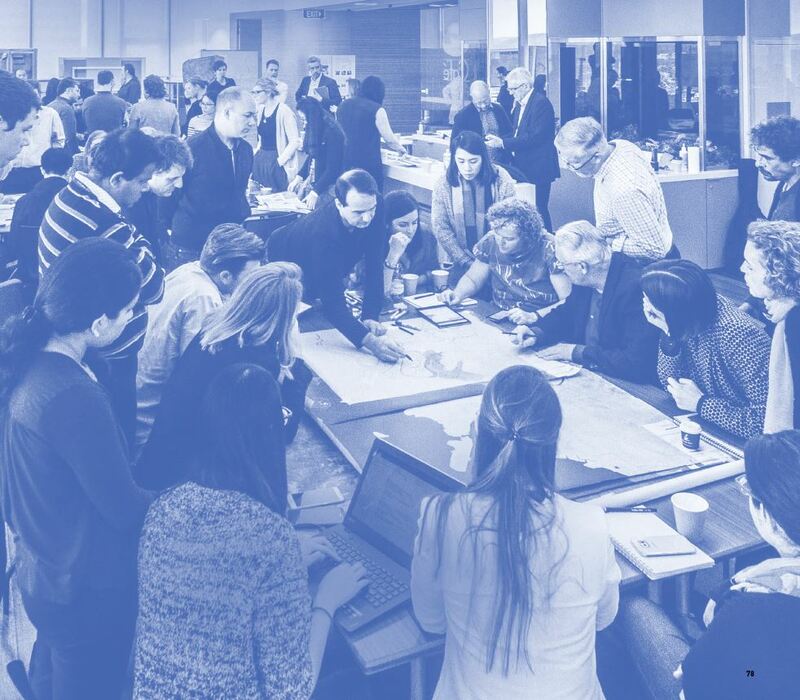 In this blog I aim to explore aspects and images of the book and it is also a timely introduction to an exploratory workshop to be held on Thursday 19 April where you will hear of the key elements and then explore the utility of the Vision and ideas that have been developed. 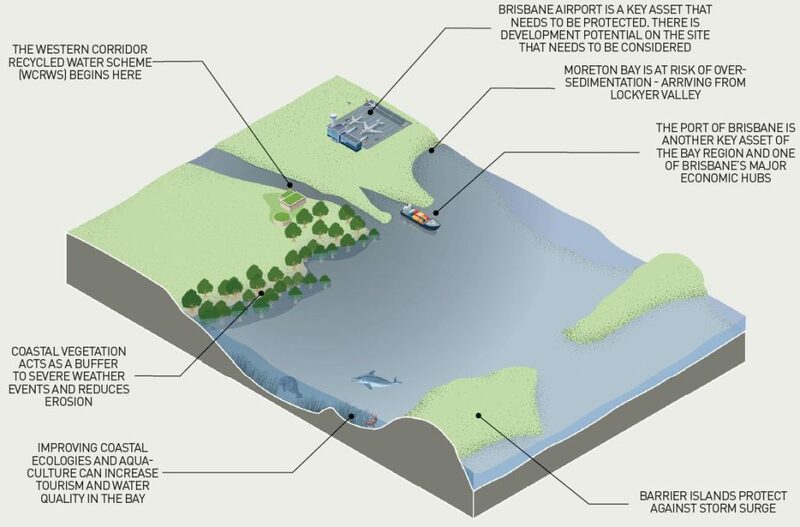 Be sure to hover your mouse over each of the images and click so you can expand and see all the detail provided. 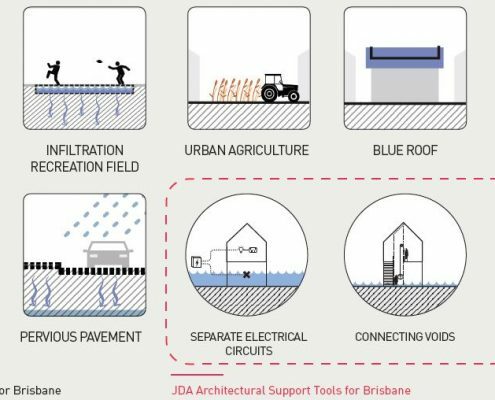 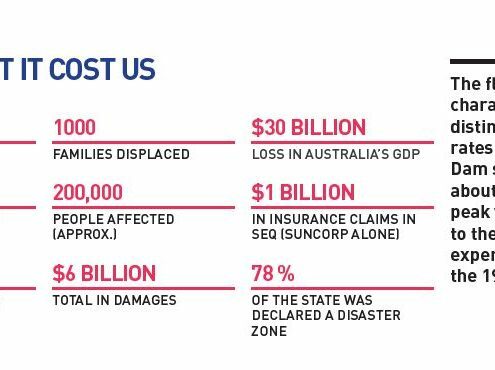 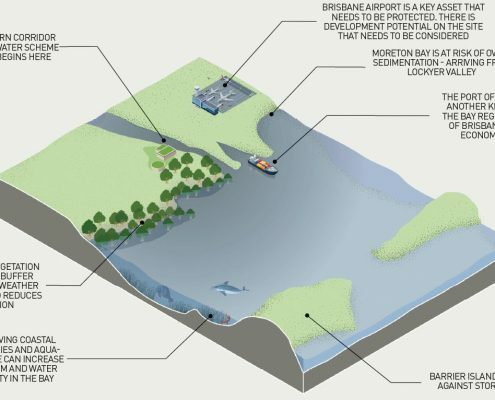 Motivating the need for this Vision building was a flood event in January 2011 that saw Brisbane and many other parts of Queensland impacted. 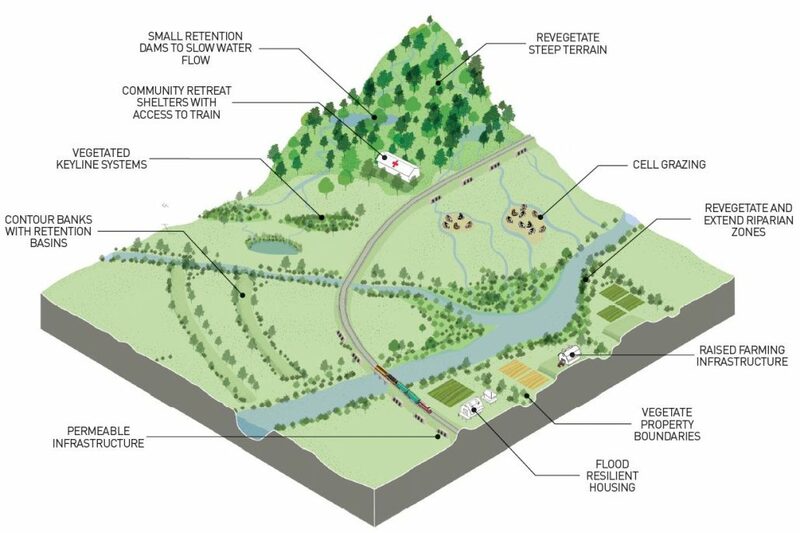 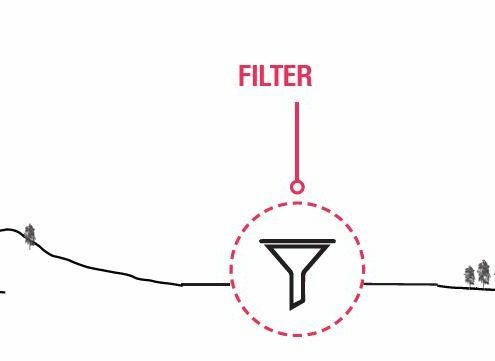 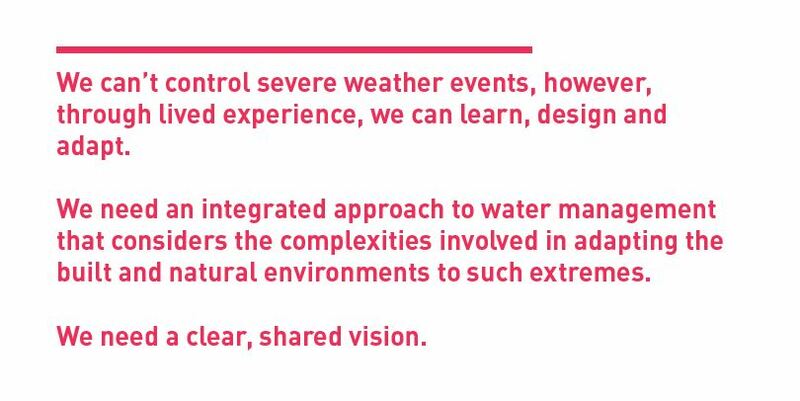 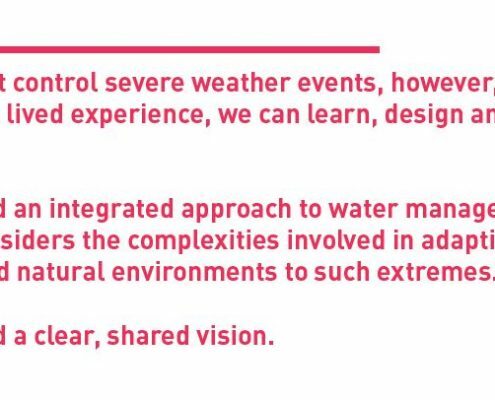 And a Vision that we can use to guide approaches that make future impacts less. 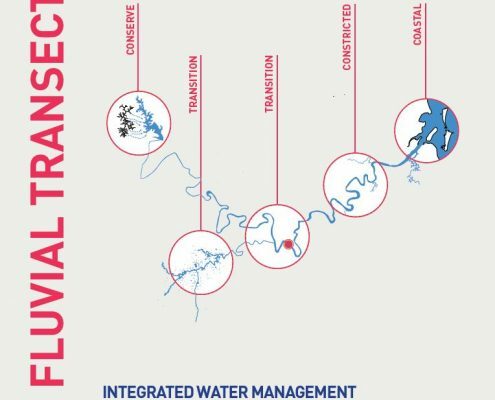 This effort was a gathering of collective ideas – through plenty of drawing, sketching and discussing options – hence to share the ideas back visual depiction has been key. 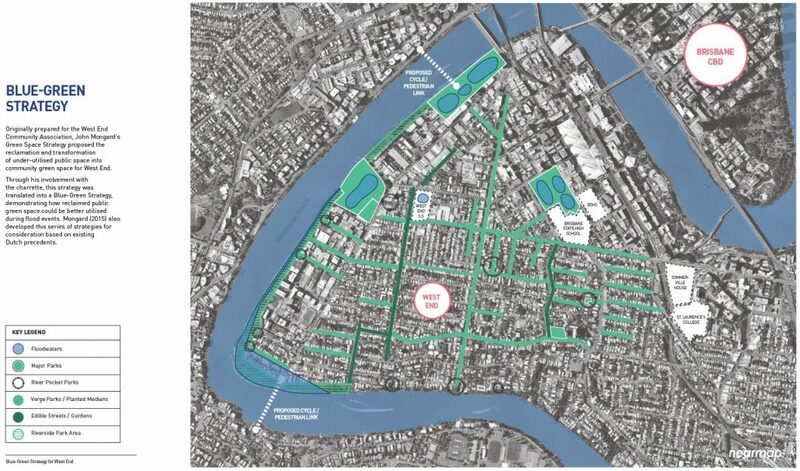 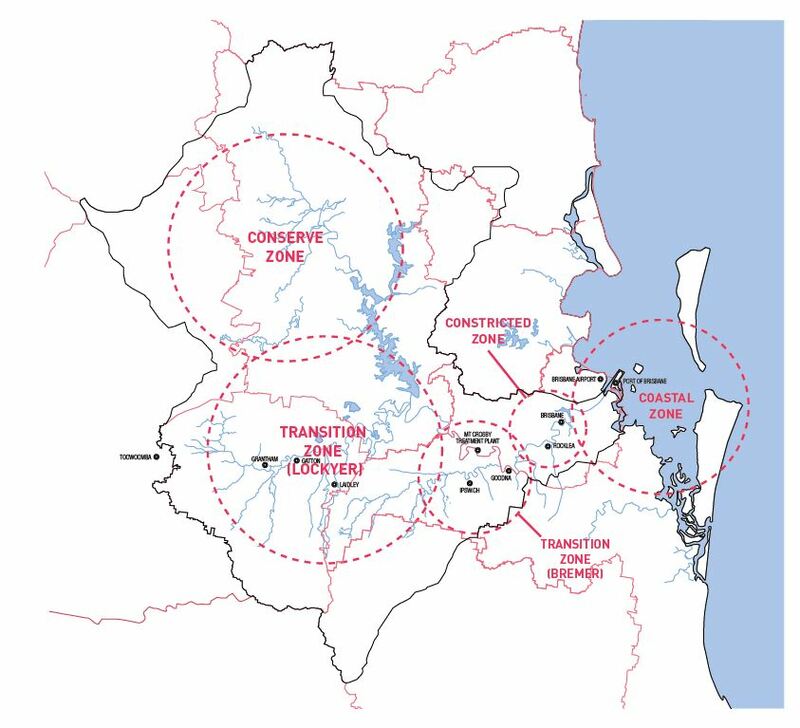 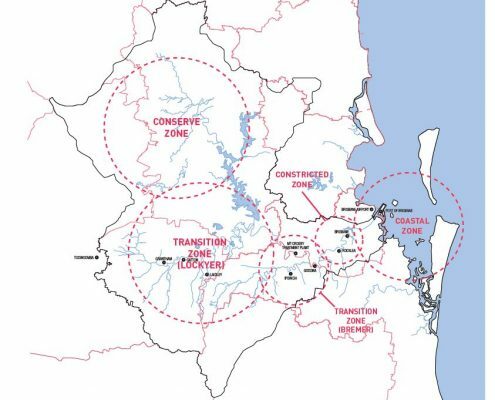 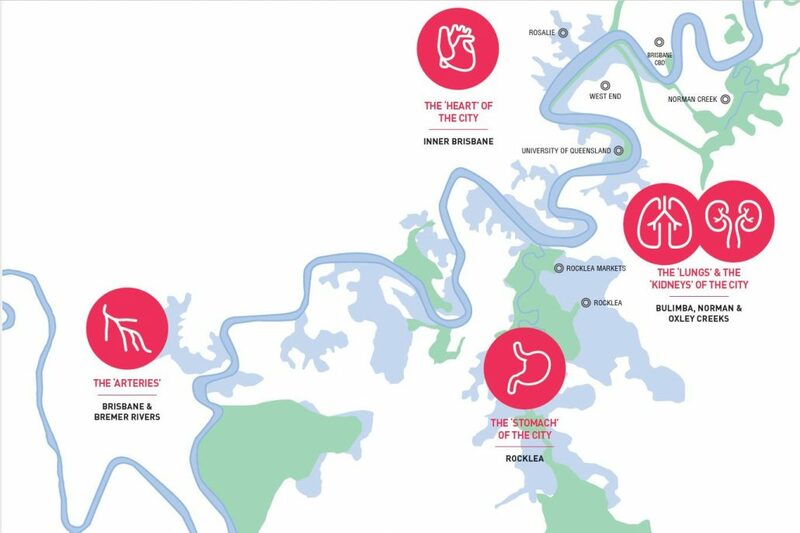 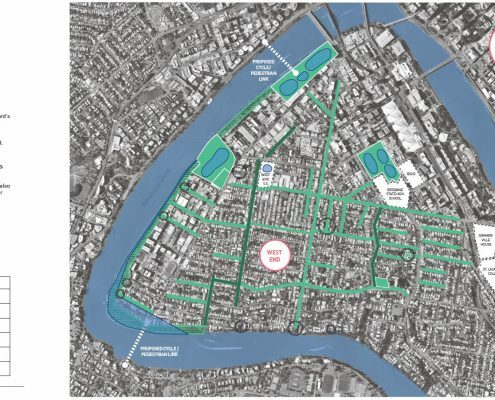 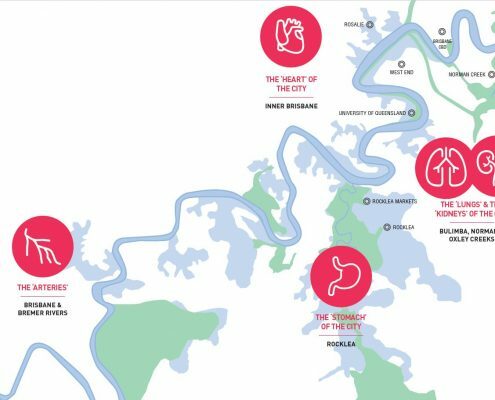 As we move into the Brisbane area, a nice concept was developed on how different parts of the City have different functions and all are critical to a healthy livability for this community.